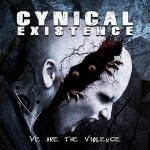 Content: This is the first Acylum album in four years. Mastermind Pedro Engel mainly focused on different (new) side-projects like Totem Obscura and Aengeldust. 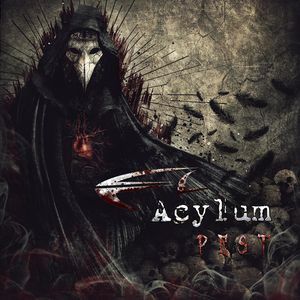 Acylum strikes back with a new opus revealing 14 songs without any compromise. Next to the somewhat medieval and even evasive arrangements you’ll discover an extreme haunting atmosphere empowered by electro-industrial rhythms. Acylum is a dangerous weapon some sick minds better not discover, but it also is a f****** genius project. Pedro Engel also takes care of the enraged vocals while his wife Nadine Engel has been featured on a few cuts as well. She has a very explicit and somewhat witch-like timbre of voice, which on songs like “Our Last Breath” and “Them Plague” will give you goosebumps. A few more great songs are “Pest”, and “The Rhythms Of Violence” which is carried by a pure Suicide Commando-like tune. Wynardtage was featured on, “The Rhythm Of Violence”, which is a nice surprise as both bands have not always been on good terms with each other. 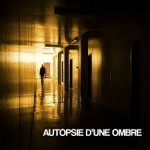 You also will discover remixes from bands like C-Lekktor, A7ie, Xotox, vProjekt, Too Dead To Die, Cygnosic and Aengeldust. Conclusion: “Pest” is an extreme provocation, and brilliant piece of work! I even dare to say that it’s one of the main dark-electro releases of the past 10 years! Best songs: “Zigeunerjunge”, “Breivik”, “Vaterland, “The Rhythm Of Violence”, “Pest”, “Dear God” + “Zigeunerjunge – Amduscia Remix”, “Born To Be Hated – Eternal Hate Remix By Nano Infect”, “Zigeunerjunge – Panic Lift Remix”.